Bottled exclusively for Fine Wine & Good Spirits in PA. 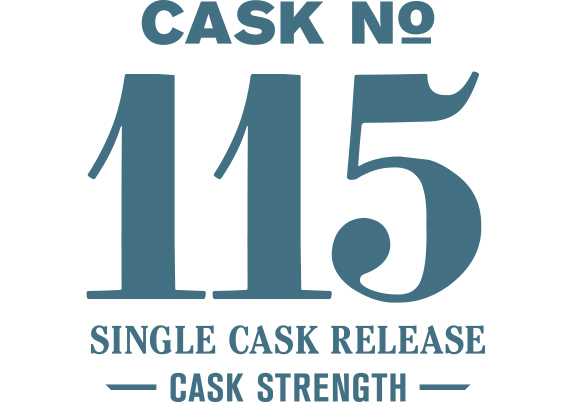 This single cask release was matured in casks constructed from Garry Oak. Garry Oak (aka, quercus garryana) is a native white oak species grown from southern British Columbia to southern Oregon that has a very unique flavor profile—one quite distinct from traditional American oak (aka quercus alba). Harvested from the Willamette Valley and air-dried for 36 months, the flavor of this Garry Oak cask is very dark with the foundational character of molasses, cloves and barbecue smoke instead of the usual caramel, vanilla and baking spices of American oak. Caramel drizzled over a cinnamon roll on the nose—very hedonistic. The palate contains some toasted oak, fresh Indonesian coffee grounds and candy corn.